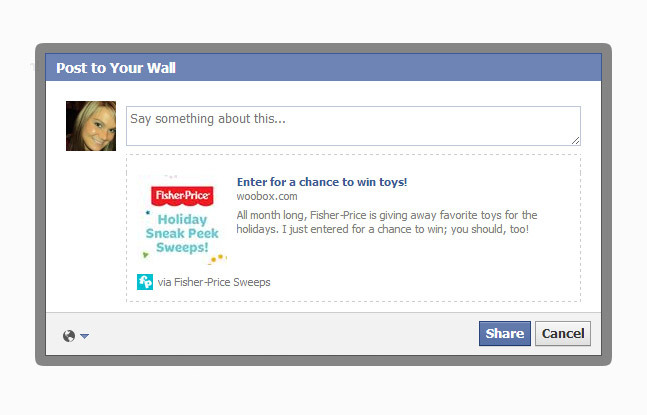 This kind of application require users to Like your Page before they can proceed. 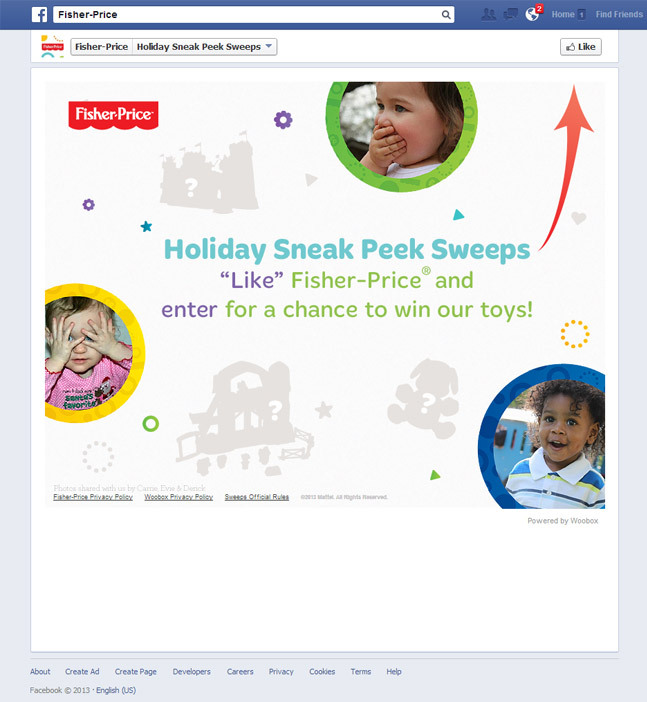 The content should encourage non-fans to click “Like” for access to the fan-exclusive offer. This is a call to action; be convincing! 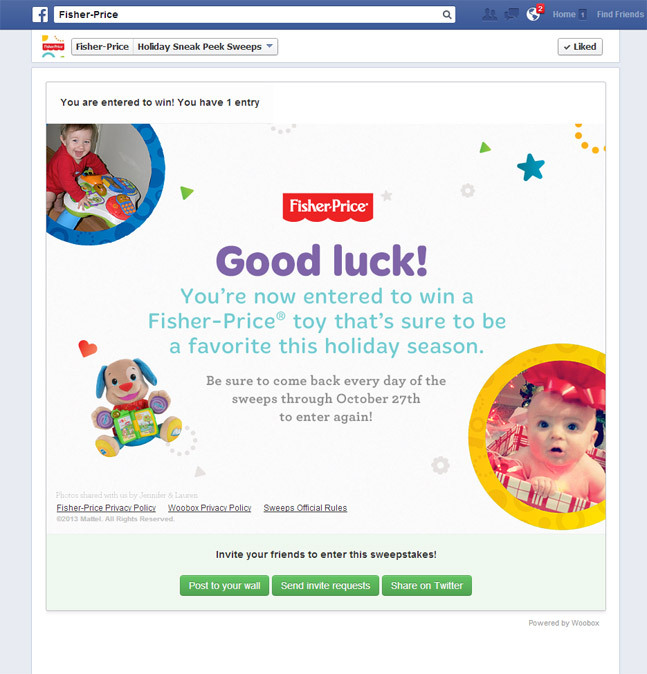 The application includes the page with the entry form, where users can pin items from the list of pins you’ve specified; and submit any additional information required for entry and the congratulations page for your potential winner.Finally you can grab users’ attention via the News Feed and Timeline posts with a customized Share Dialog.